On Sunday (1/13/19), Ladouceur arrived at the Chula Vista Campground located near the summit of Mount Pinos. She parked in the parking lot of the snow play area and hiked a short distance to the campground where she had planned to camp in the snow for a few days. On Monday afternoon, a significant winter snow hit the area and Ladouceur was not prepared for the accumulation of snow which the summit received. Ladouceur retreated to her vehicle and began to call for assistance. At approximately 1630 hours, Lockwood Deputies were notified and responded to the area. 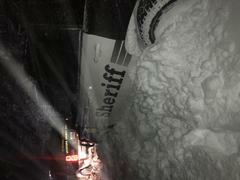 As the deputies attempted to reach the stranded camper, the heavy snow fall on the road leading up to the summit became impassable even for the deputies 4X4 vehicles. 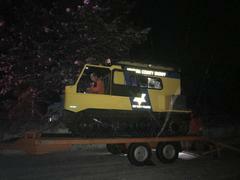 The Fillmore Search and Rescue Team along with Kern County Search and Rescue were activated and responded to the area with special Snowcat vehicles that are designed to operate in deep snow conditions. As the temperature dropped and snow continued to fall, the two search and rescue teams worked together to reach the summit and safely rescue Ladouceur who had sought refuge in her vehicle. 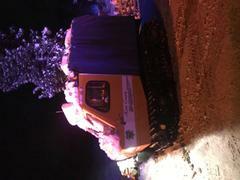 Ladouceur was transported by Snowcat to the command post where she was taken to Lebec and reunited with her family. Ventura County Sheriff’s and Kern County Sheriff’s Search and Rescue Teams are made of community volunteers who train and devote countless hours in preparation for scenarios just like this.